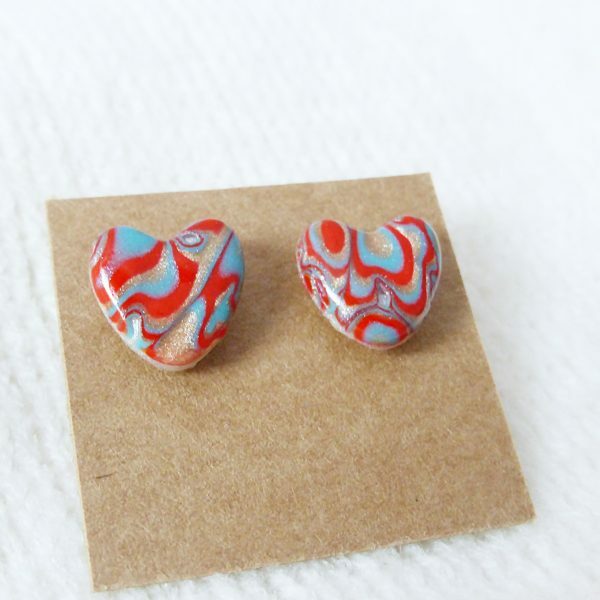 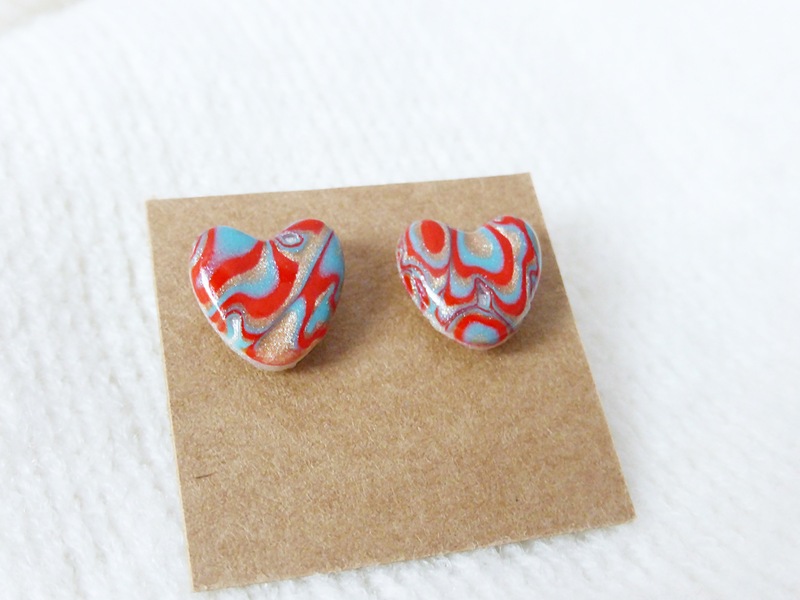 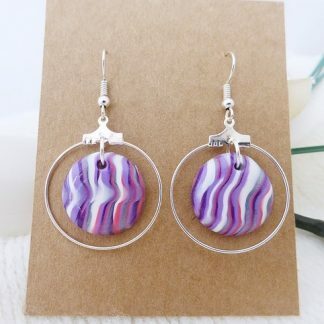 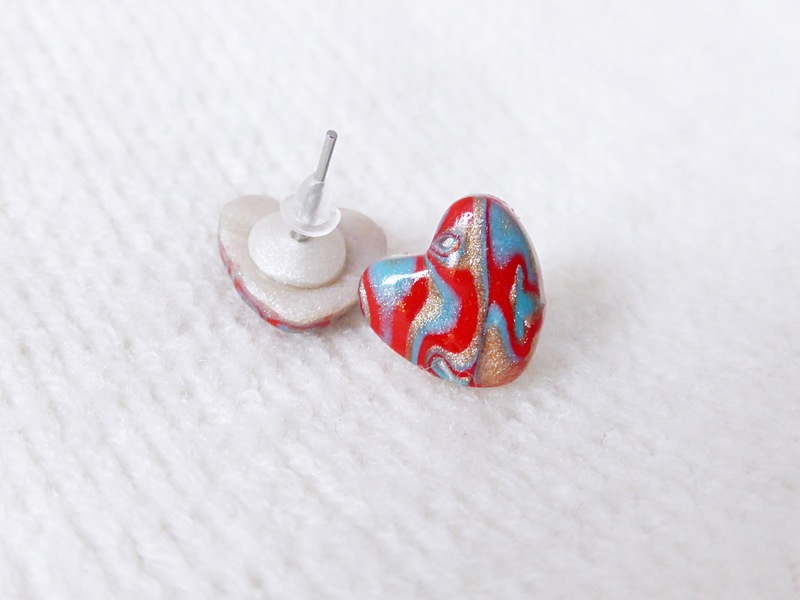 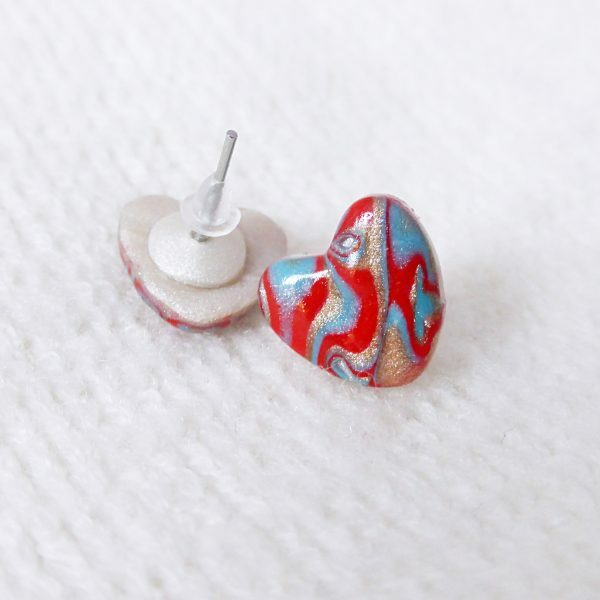 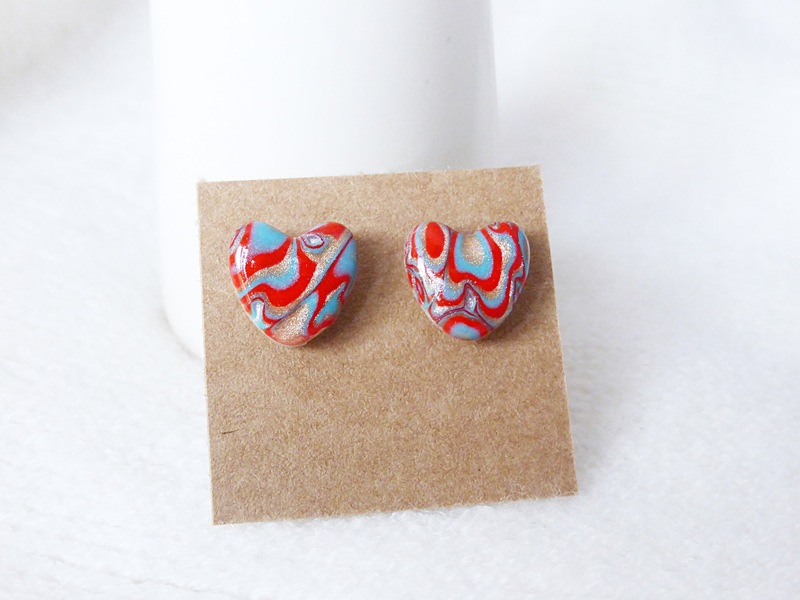 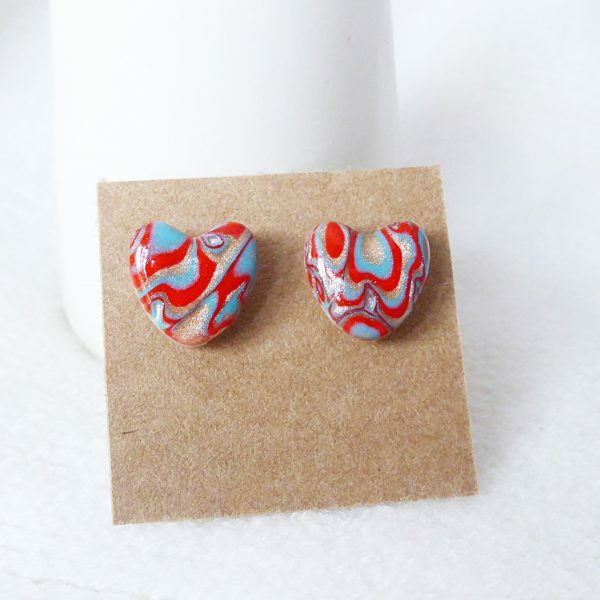 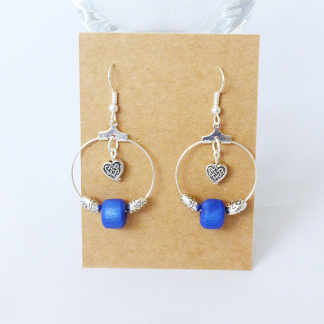 Heart shaped stud earrings lovingly handcrafted from Polymer Clay. 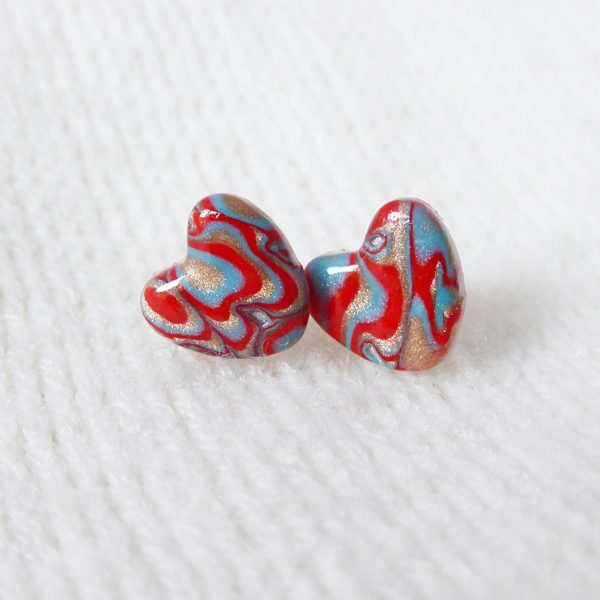 Made with a beautiful mix of red, turquoise and rich shimmery bronze. 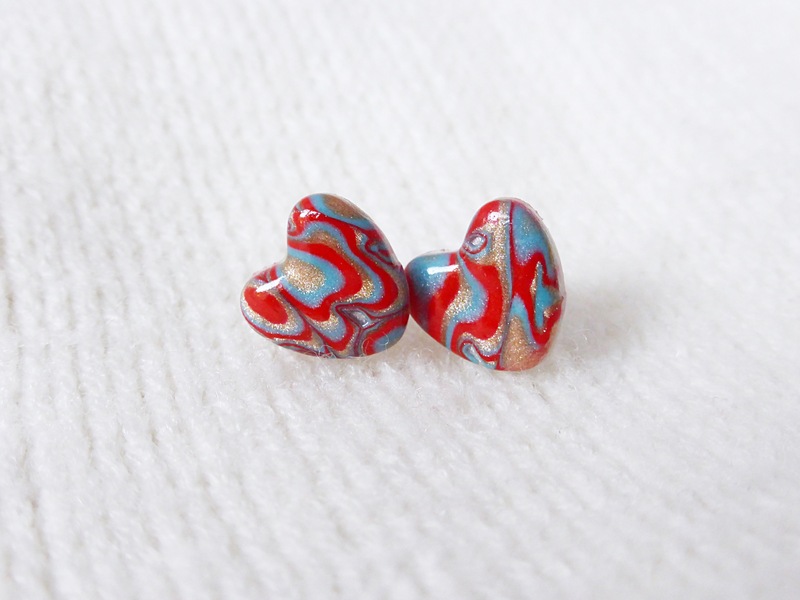 I have used the Mokume Gane technique to create the unusual, unique pattern.